Cucumber Mint Cooler topped with your choice of club soda, seltzer, or water, and a squeeze of lime juice. It’s cool, fizzy, and super refreshing. 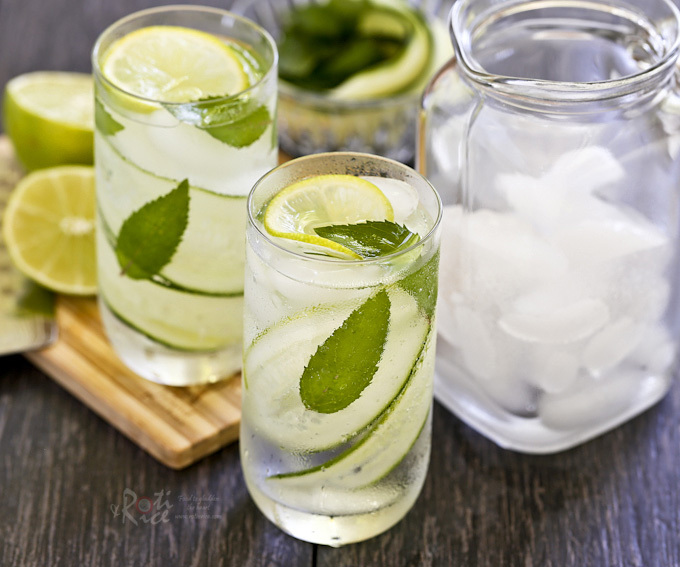 The hot days of summer are here and what better way to cool down than to sip a Cucumber Mint Cooler that takes no time at all to put together. 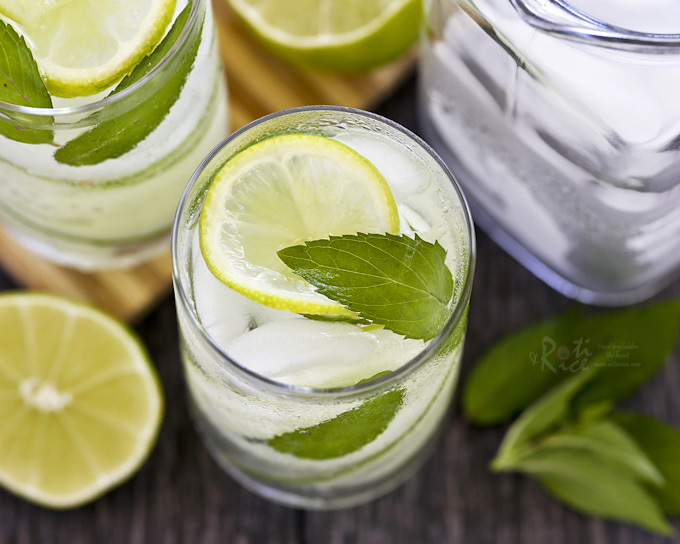 All you need are a cucumber, ice cubes, mint leaves, lime, and club soda or seltzer. It’s cool, fizzy, and super refreshing! Instead of water, I decided to use club soda but seltzer will also work. If you prefer water, that would definitely work. As for the cucumber, I think shaving them into thin strips are even more more fun than cutting them into rounds. Cucumber Mint Cooler topped with your choice of club soda, seltzer, or water, and a squeeze of lime juice. It's cool, fizzy, and super refreshing. Using a mandolin, shave cucumber into long thin strips. Cut lime into half. Cut one of the halves into thin slices. Curl one or two strips of cucumber in a glass. Pack with ice cubes and a few mint leaves. Top with a slice of lime. Squeeze a few drops of lime juice into the glass. Then fill with club soda, seltzer, or water and enjoy.